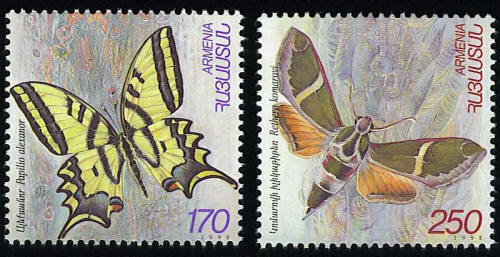 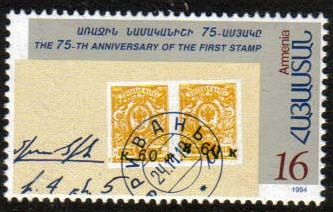 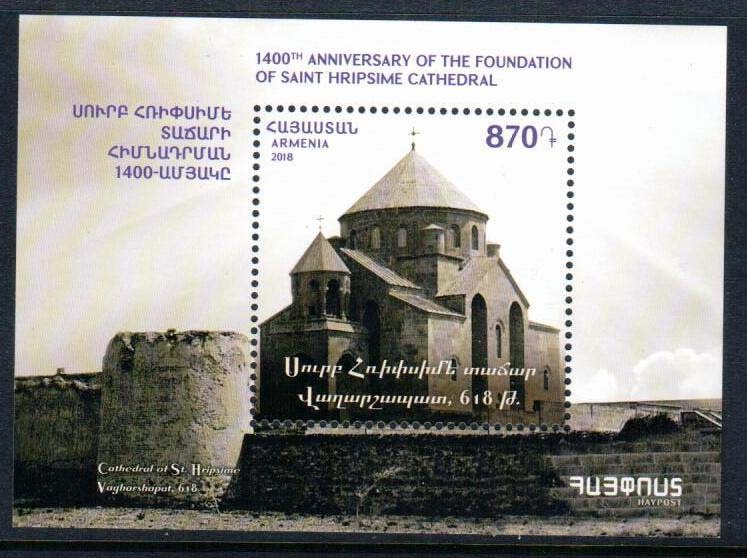 045, 75th Anniversary of Armenia?s 1st stamp Scott #479. 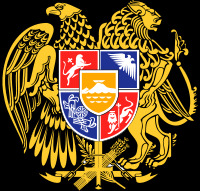 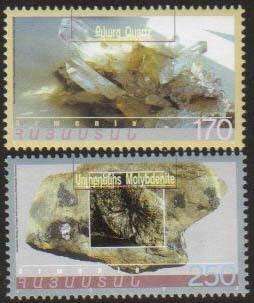 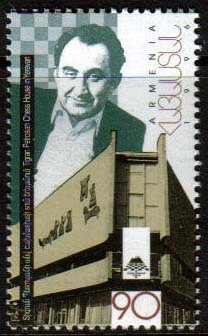 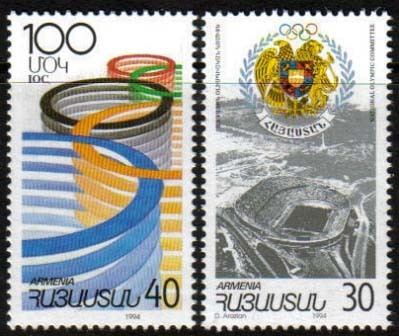 040-1, Armenian National & Int. 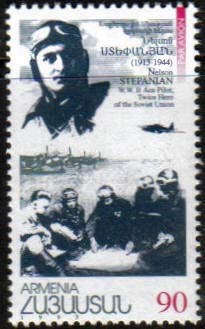 Olympic Committee Scott #481-2. 090, Nelson Stepanian, Pilot, Airmail stamp Scott C2.